A brand boutique for watches developed based on the concept of enjoying watches. From casual to serious timepieces, we select watches focusing on function and design and can propose styling of watches to enjoy them as a part of your overall fashion. 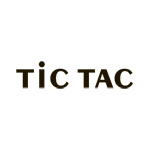 The original labels "Movement in Motion" and "SPICA", original labels which "TiC TAC" is involved in, are also popular.